The poem that I chose was mainly about a person who is talking about what he or she is experiencing with these children in Cambodia. Each child is offering this person a gift to buy and they are trying to decide what to pick. Each child has something to offer even if it is something small and very inexpensive. But the person is having a hard time picking what to buy because they do not want to hurt the kid’s feelings. Also, she wants to help out those families because they all look very poor and they really want this person to purchase something so that they can earn money. Some details that are used in this poem that helped with the imagery are things such as the way the tourist said that the kids have smiles on their faces and that kids were described in a way that helped me to imagine what they looked like. It says that the first child smiled with adorable eyes, and that since there are so many kids at the market, I can picture that there is a big crowd trying to sell their things to this tourist. Some examples of the syntax were things like “All of the sudden with children around me, beautiful garments embroidered with love.” This sentence flows very well and has a good contrast to each other while still making sense. For most of the poem, each section was written in a way that made it flow and sound good together. The poem also did a good job at having things rhyme. I think the theme of this poem was to show how these small children had to work to earn their living and how sad it made this tourist feel. These children were very young and working hard. Even though they were small, they could not really enjoy the fun of being kids. The fact that they had to help out their families was really astonishing to the tourist, and it really opens your eyes to what goes on around the world. Some of the cultural items that I noticed in the story were things like the kids helping out with their family. I learned that many of the children help out with their families income. Other than that, it was just very sad and made me feel like my eyes were opened to what kids in Cambodia sometimes have to go through at such a young age. The news article that I chose is mainly about how women in Cambodia are victims of Acid attacks and violence. Many women are victims of this violence when they are caught cheating or having an affair with other men. When people catch them they are very brutal and they will throw acid on them. One of the subjects of this news story was a women who was caught cheating with a government official and his wife hired people to beat her up until she was unconscious and then throw acid onto her. Things like this are very common and even though the government says that they will provide free aid to those who are harmed, they are not following through with it. What can be inferred about Cambodia after reading this article is that they often blame things on the women if they cheat. Even though some of them are at fault, they get all the blame put on them. People don’t really respect the women. I think they are in a state of unrest because this issue is still unresolved. People should know more about this problem and try to get the government to help victims of acid attacks. Where do most of the people live? – Most of the people live in the countryside where they can farm. What is the capital city and how many people live there? 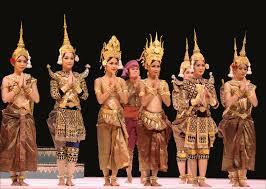 – The capital city is Phnom Penh and the population is 1.502 million. What things are in that city? 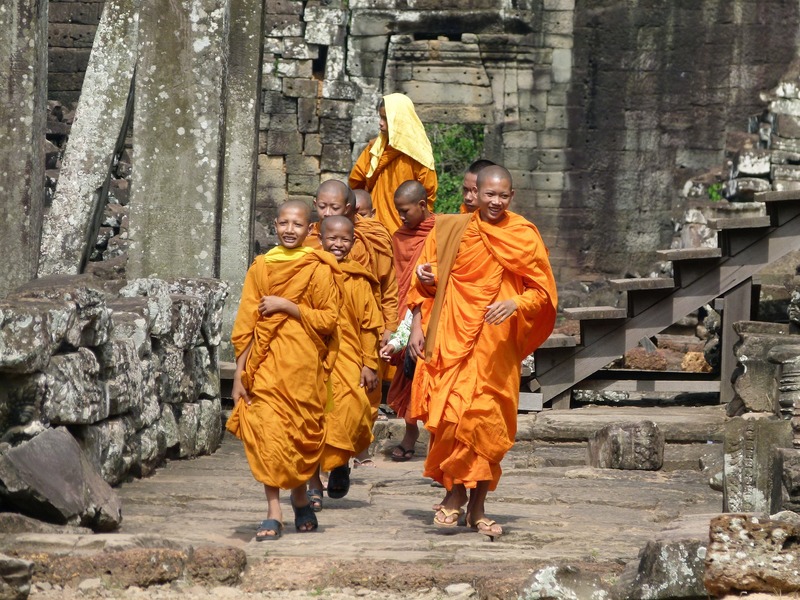 – Somethings that are in Takeo is the Kirivong waterfall, the independence monument, and even a temple called Phnom Bayong. What are the major languages spoken there? 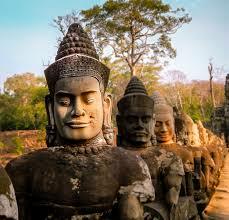 – Some of the major languages are Khmer (Cambodian), English, and French. What statistics can you find on poverty, agriculture, disease, or energy? – The life expectancy for men is 66 years old where it is 71 for women. Garment production is its major economic earnings. It is about 80% of its foreign earnings. About 14% of the population live under the national poverty line. Many people rely on agriculture for their earnings. What religions are central to the country? – The major religion is Buddhism. Some others include Christianity and Islam. Are there any significant dates related to the country that share some of its background history? It was founded on November 9, 1953. In 1863, it became a protectorate of France. In 1945, the Japanese occupation ends. Some other interesting facts that I have learned about Cambodia is that their flag is the only flag with a building on it. Half of the current population is younger than 15 years old. Birthdays are not traditionally celebrated. Older people tend to not even know their age. I selected Cambodia as my country. I selected this country because I have a family friend who served his mission there. He told my family many of the cool experiences he had and how amazing the culture was. Some things that I expect to discover about this country are things such as its food, culture, and history. Some questions that I already have about this this country are things such as, when the country was founded, what the food is like, and how are the people different and similar to those in America. © 2019 Eliza Gibson- Cambodia .